In the dog days of 2013 releases, there comes a little gem. One time and/or current member of The Babies and Woods, Kevin Morby has delivered a solo album with grand ambitions and strong foundations. Creatively, it’s a paen to New York City. That’s no small subject and Kevin Morby is not the first to address it. Eleanor Friedberger’s take is to make things intensely local. A Baedeker for her favourite neighbourhoods. Here, things are no less intimate. The title track takes us on a personal journey. But, this is no Ulysses for the Big Apple. The songs are firmly rooted, but the themes are universal. ‘The Dead They Don’t Come Back’ being a case in point. ‘Sucker In The Void (The Lone Mile)’ being another. Musically, there are clear antecedents. Dylan is the most obvious influence. The shuffling organ on a number of songs has more than an echo of Al Kooper’s work on Blonde on Blonde, perhaps most noticeably on ‘Wild Side (Oh The Places You’ll Go)’. But it’s more than just a simple homage. The opening track, ‘Miles And Miles’ has a lovely structure, switching between slow waltz-time and more upbeat sections. ‘Harlem River’ itself starts off slow only to get kinda funky. ‘Slow Train’ – another scarcely veiled Dylan reference surely – has a wonderfully laid-back feel and there’s the welcome accompaniment of Cate Le Bon on vocals. Only ‘Reign’ feels as if it’s being played at the wrong tempo, breaking the spell albeit temporarily. With so many ‘best of ..’ list having already been compiled, Harlem River will lose out. But this is an album that deserves to be considered in that category. Whatever about that, it’s an album that deserves just to be heard. 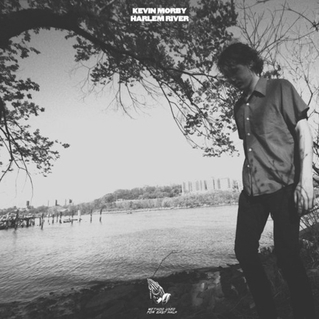 Posted in Kevin Morby and tagged as Kevin Morby, Music, Review.